Our State Flags are made by one of the leading US flag manufacturers in America, Eder Flag. 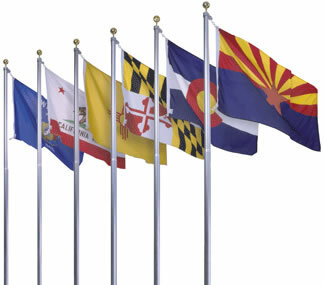 The state flags are made from Heavy Duty Nylon and are finished with a strong canvas header material and two brass grommets. These state flags look great indoors and outdoors and are Made in the USA.